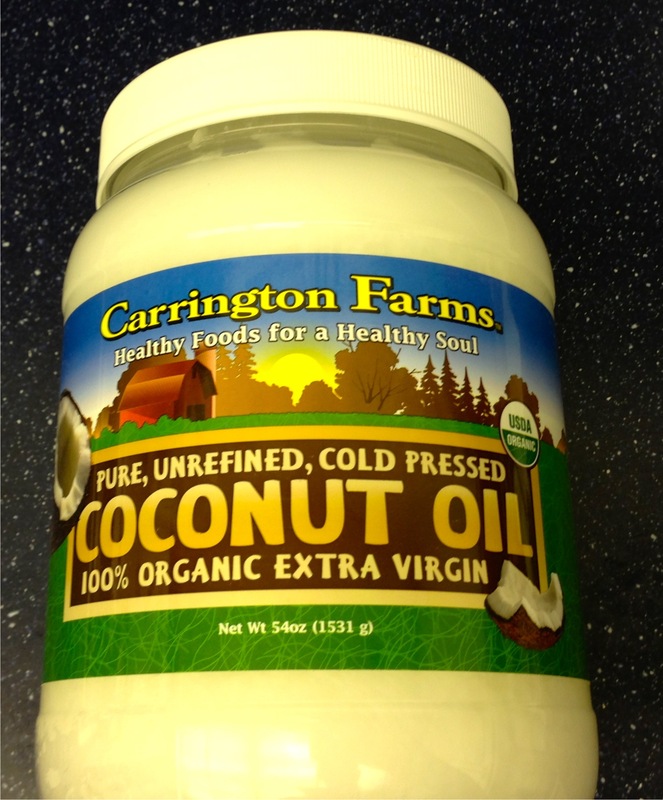 I have written numerous times about the nutritional benefits of coconut oil. For starters you can check my Page – Coconut Oil – Why you should include it in your diet. But that is just coconut oil – a saturated fat – but only one kind of fat. Harvard T.H. Chan School of Public Health nutrition expert David Ludwig says that the low-fat diet remains “deeply embedded in public consciousness and food policy.” Recent research suggests that eating a low-fat/high-carbohydrate diet—which Americans were advised to do for about 40 years—is not a good idea. In an October 6, 2016 CNN.com article, Ludwig, professor in the Department of Nutrition, wrote that longstanding recommendations about avoiding dietary fat—from the government and all major professional nutrition associations—were based on limited scientific evidence. Experts who touted a low-fat diet said it would help people stay lean and healthy. But, instead, rates of obesity and diabetes surged. Experts now say that not all fats are bad—in fact, some are healthy and important in a balanced diet. Several recent studies found that high-fat diets actually produce greater weight loss than low-fat diets. And while the 2015 Dietary Guidelines for Americans have now lifted the limit on dietary fat, “you’d never know it, because a full accounting of this failed experiment has not been made,” Ludwig wrote. He called for a rigorous examination of “the low-fat diet debacle” and for more government funding to test new ideas in nutrition. Read the CNN.com article: Doctor: Low-fat diets stuffed with misconceptions. As I have said previously, living a healthy life and eating intelligently is the answer, not fad diets that don’t work and often throw your body out of balance. A little knowledge is dangerous. Cutting out fats from our diets because they are ‘bad’ is a perfect example of that. 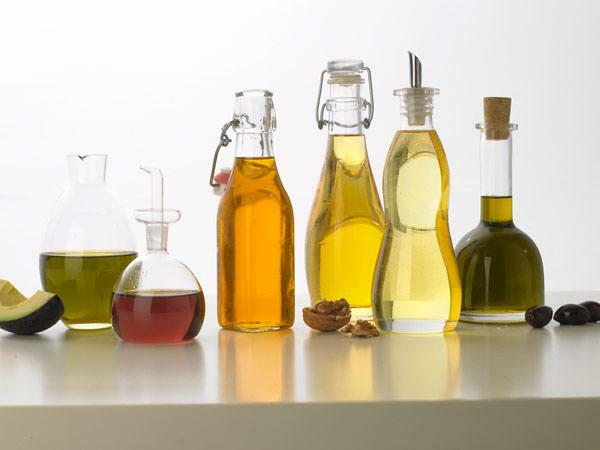 Not all fats are bad, according to the American Heart Association. Proper dietary guidelines say that fully 30% of our daily food calories intake should be in the form of fats. Also, 30% should be protein and 40% carbohydrates. So, fat is equally as important to us as protein. Regular readers know that I feel strongly about consuming saturated fats. Check out my Page on Why You Should Include Coconut oil in Your Diet. Nina Teicholz wrote in Wall Street Journal …. How Many Calories in McDonald’s Mighty Wings? 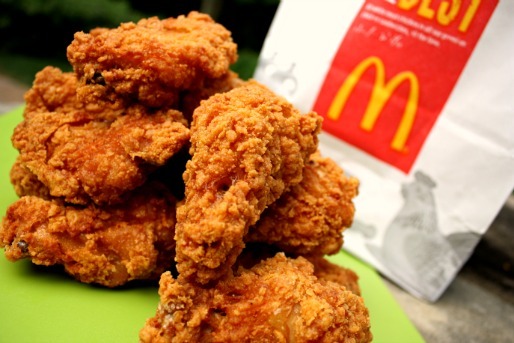 Mickey D’s has announced it will roll out its newest creation – “Mighty Wings” – next month. The Wings have been tested in three big markets since the beginning of the year. My town, Chicago was one of them. The wings will come in three, five and 10 piece orders and there will be nine different sauces available. Prices start at $2.99. Their national debut is scheduled for September 9. Of course, many of us want to know about the nutritional content of these new creations. I checked with the Mc Donald’s website and could not find anything. This is interesting as they are already promoting the dish. However, there are figures around the web. That’s certainly a positive start. I use coconut oil on my popcorn for that delicious movie house flavor. WHAT? Coconut oil is a saturated fat! Isn’t that a no-no?? The answer is NO. Coconut oil consists mainly of the saturated fat Lauric acid. Lauric acid is the main component of breast milk. 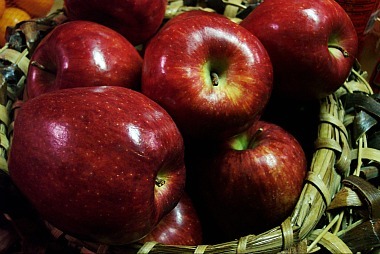 Besides being incredibly nutritious, it also raises the HDL cholesterol (the good cholesterol). Check out Why Should I Try Coconut Oil? Popcorn’s reputation as a snack food that’s actually good for health popped up a few notches today as scientists reported that it contains more of the healthful antioxidant substances called “polyphenols” than fruits and vegetables. They spoke at the 243rd National Meeting & Exposition of the American Chemical Society (ACS), the world’s largest scientific society, being held here this week. What Are the Best and Worst Sandwiches to Order from Panera Bread? You can’t go wrong eating out if you stick with chicken and turkey, right? Just beware of the big old burger. Not so fast, says WebMD. Avoid like the plague Panera’s Signature Chicken on Artisan French Bread. 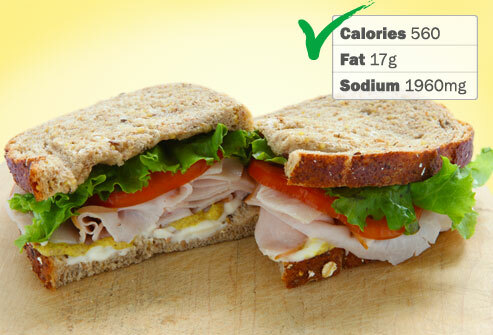 It “contains 830 calories, 37 g fat, 12 g saturated fat, and 2,180 mg of sodium. That’s the daily Sodium limit for healthy adults. The special sauce, bacon, and cheddar help turn chicken, a lean type of protein, into a calorie bomb. 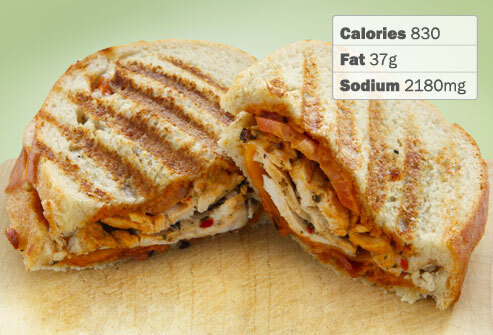 Unfortunately, many of the hot panini, signature, and café sandwiches hit the 700-900 calorie range,” WebMD says.